THEY WANT TO SERENADE YOUR MOM : The Gipsy Kings play Mother’s Day, May 9, at Avila Beach Resort, the first in a summer-long series of ocean view shows. They’re France’s best selling act ever, and they’re perhaps the best known non-English speaking group in the U.S. 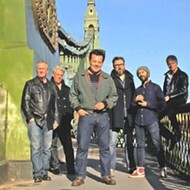 The Gipsy Kings, whose members, according to press materials, “hail from the gypsy settlements in Arles and Montpelier in the south of France,” is fronted by lead singer Nicolas Reyes, son of famed Flamenco singer José Reyes, who, with Manitas de Plata, sold millions of records in the 1960s and ‘70s. The group’s Gypsy dialect is gitane, and their parents were mostly gitanos, Spanish Romani people who fled Catalonia during the 1930s Spanish Civil War. Hence, they’re carrying on a long Gypsy musical tradition. In 1987, they scored their first worldwide hit with “Bamboleo,” from their platinum-selling eponymous debut. Since then, they’ve sold more than 14 million albums worldwide—four million in the U.S. When they released The Best of the Gipsy Kings, it remained on the charts for more than a year! Other records include Mosaique, Allegria, Este Mundo, Gipsy Kings Live, Love & Liberté, Tierra Gitana, Cantos de Amor, and Volare! 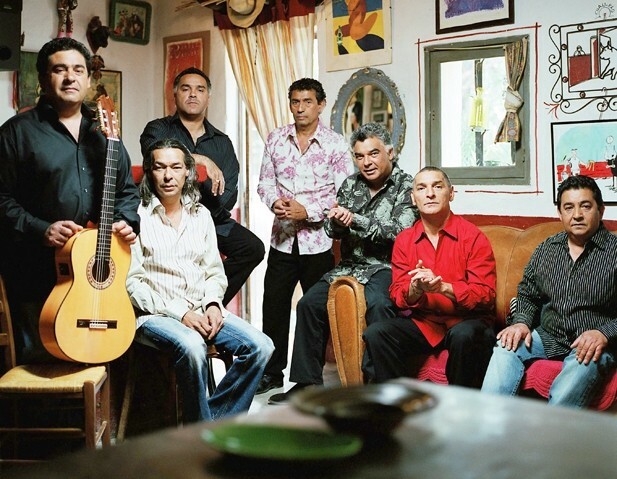 The Very Best of the Gipsy Kings, which dominated Billboard’s world music, Latin, and pop charts. Their music has also appeared in films as diverse as Peter Weir’s Fearless and Joel and Ethan Coen’s The Big Lebowski. 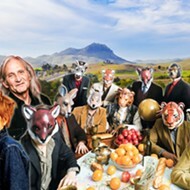 Most recently, they’ve released Roots, for which the core members “settled into a stone villa in the small town of St-Andre-de-Bueges in the south of France, where they collaborated with producer Craig Street on the Grammy-nominated acoustic release. For the first time in years, the band recorded without a drum kit, synthesizer, or electric bass, bringing the music closer to its flamenco origins. 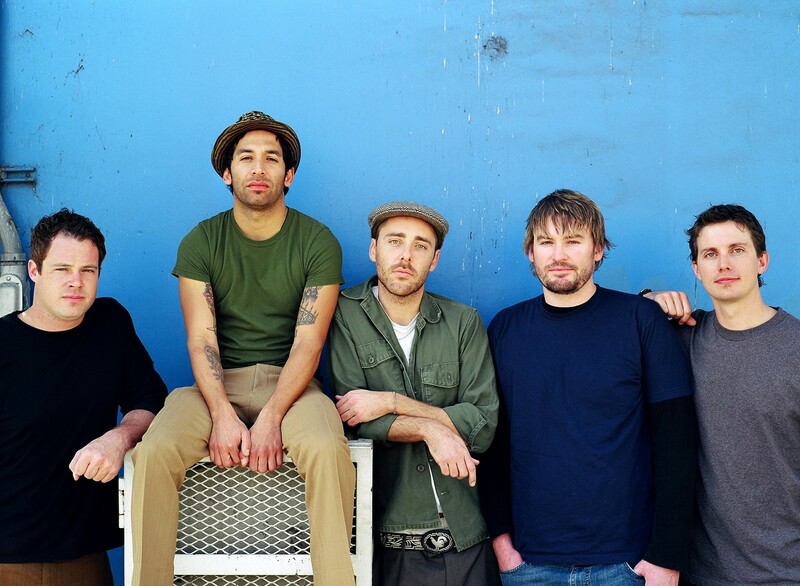 MADLY AWESOME : Ska-punk act The Mad caddies just got booked at Downtown Brew for May 6. Don’t miss ‘em! Stop the presses! Okay, not really. The presses are not rolling quite yet. But hold onto your hats, because Downtown Brew just finalized a last minute addition to this week’s line-up. This Thursday, May 6, the amazing, high energy, totally infectious punk-infused raggae/ska/indie act The Mad Caddies return to the club (7 p.m.; all ages; $10 presale or $12 at the door). If you dig the Clash, the Police, or Sublime, you’ve got to see this horn-driven act that’s not shy about throwing Dixie, jazz, surf, rockabilly, country, and swing into their set. The greatest little band to ever sprout from the kids of SLO County—Threes & Nines—hits the club on Friday, May 7, with opening act Floater (7 p.m.; all ages; $10). Oft compared to the Psychedelic Furs, Threes & Nines sing hook-laden pop songs so quirky you’ll be scratching your head and grinning at the same time. If you like King Missile or the Dead Milkmen, you’ll love this young local band. Floater is touring in support of Wake, a melodic little pop-rock album—the eighth of this Oregon band—which should fit nicely with Threes & Nines. I highly recommend this show! On Saturday, May 8, the Brew and New Rock 107.3 plan to tickle your funnybone with Stand Up Dads, an evening of comedy with Dan St. Paul, Tim Badore, and Milt Able (7:30 p.m.; 21-and-older; $15). “They turn their witty and nutty observations about life into a show that keeps the audience laughing almost from beginning to end,” according to press materials. “Each comic performs a routine infused with good-spirited humor and, yes, a little tenderness about parents, wives, and cherished but maddening children.” Awwww. SORRY! YOU DON’T GET THEM ALL! 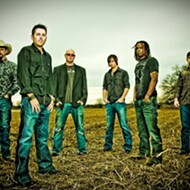 : Roger Clyne and PH Naffah, two members of Roger Clyne and the Peacemakers (pictured), play May 9 at Downtown Brew. 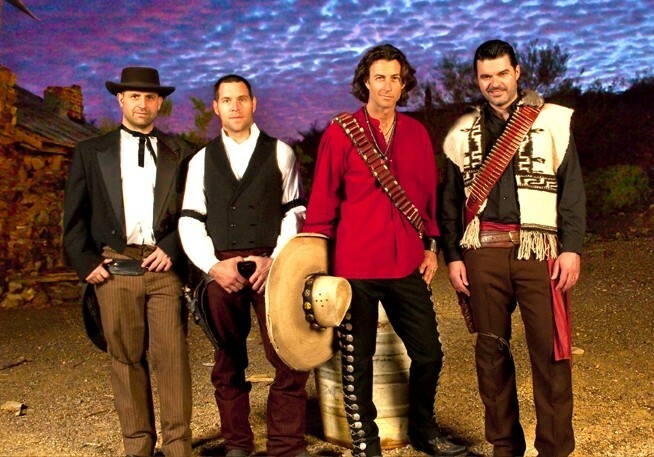 On Sunday, May 9, check out Roger Clyne and PH Naffah of Roger Clyne and the Peacemakers, who’ll perform an acoustic set (7 p.m.; 21-and-older; $15 presale or $17 at the door). Local fav Joe Koenig will open the show. This is one of only 10 California shows for Clyne and Naffah, and promises to be intimate and mo-fo crazy! These two started off as witty, irreverent rockers with their seminal Tempe-based band The Refreshments, who scored a cult classic with their 1996 album Fizzy, Fuzzy, Big and Buzzy, which produced the modern rock hits “Banditos” and “Down Together.” The Refreshments also wrote the theme for TVs King of the Hill. After The Refreshments came Roger Clyne & The Peacemakers. Two of their albums, 1999’s Honky Tonk Union and 2004’s ¡Americano! debuted at #1. This is going to be another awesome show! On Wednesday, May 12, the New Rock 107.3 Battle of the Bands continues when Echo of Ages faces off against Artiface (8 p.m.; all ages; free for those 21-and older; $5 for those younger). Finally, mark your calendar and get ready to let your freak flag fly next Thursday, May 13 when the Brew hosts a drag show and benefit with The Dollhouse (8 p.m.; 18-and-older; $12 presale or $15 at the door), the men of Delta Lambda Phi, who will donate proceeds to the AIDS Support Network (ASN) of San Luis Obispo. Unplugged at Native Lounge continues this week with UK-based acoustic rock chanteuse Amy May on Thursday, May 6, from 7 to 10 p.m. These all ages, free shows are extremely intimate, like a concert in your living room. With an arresting, lilting voice and sultry good looks, you’ll wish this Amy May concert was in your bedroom. Hubba! The SLO Downtown Association, Chipotle Mexican Grill, and the Pacific Energy Company present local reggae act Resination this Thursday, May 6 during the Farmers Market. The nine-piece roots rock and reggae act will play from 7 to 8:30 p.m. at the corner of Nipomo and Higuera Streets. 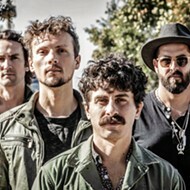 Discovery Point Entertainment and La Bellasera Hotel & Suites host The Tipsy Gypsies this Thursday, May 6, at 7 p.m. ($15). Featuring Hillary Langdon on vocals, guitar players Toan Chau and Forrestt Williams, drummer Sean Sullivan, and double bassist Matt Reeder, the group creates a mélange mixing Billie Holiday-style vocals and Django Reinhardt-style gypsy jazz, yet they’re also comfortable covering material from the Velvet Underground, Portishead, and the Beatles—all played in a gypsy jazz style. Make reservations online at discoverypointentertainment.com or by calling 591-9053. .com for a complete schedule and ticket details. Take It SLO, Cal Poly’s a cappella ensemble, will host two a cappella collaboration concerts Friday, May 7, at 6 p.m. and 8:30 p.m. in Room 218 of the Davidson Music Center on campus. Take It SLO will join with guest group 14-member, all male group Fermata Nowhere, which hails from Mt. San Antonio College, a community college in Walnut, and performs everything from Latin motets to Ben Folds to Lady Gaga. Take It SLO is a 15-member vocal ensemble that performs works arranged by the students themselves. Tickets are $5 at the door. PIANO-RAMA! : The 27th Annual Piano Showcase hosted by the SLO Jazz Federation happens on May 7 in Unity Concert Hall. 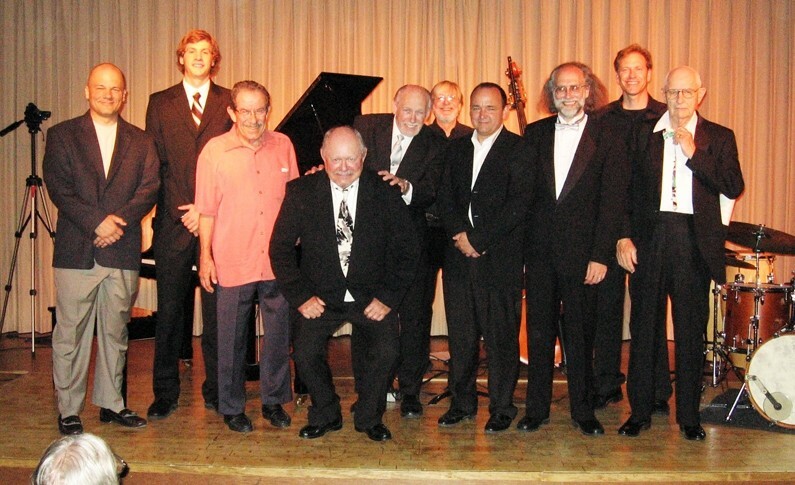 For the past 26 years, the San Luis Obispo County Jazz Federation has been hosting an annual piano showcase that shows off our area’s considerable talent, and the 27th Annual Piano Showcase continues that tradition this Friday, May 7 at 7 p.m. in the Unity Concert Hall (1490 Southwood, SLO). This year’s concert features such local talents as James Bianchi, Mark Bocchichio, Steve Carlton, Bob Harway, David Manion, and Craig Updegrove. Tickets are available at the door ($12 for Jazz Fed members, $15 for the general public, and $5 for students.) As always, proceeds benefit the Jazz Federation Scholarship Program. VIRTUOSO TIMES TWO : Stellar mandolin player Kenny Blackwell and awesome guitarist Dorian Michael play an intimate show in Matt’s Music on May 7. 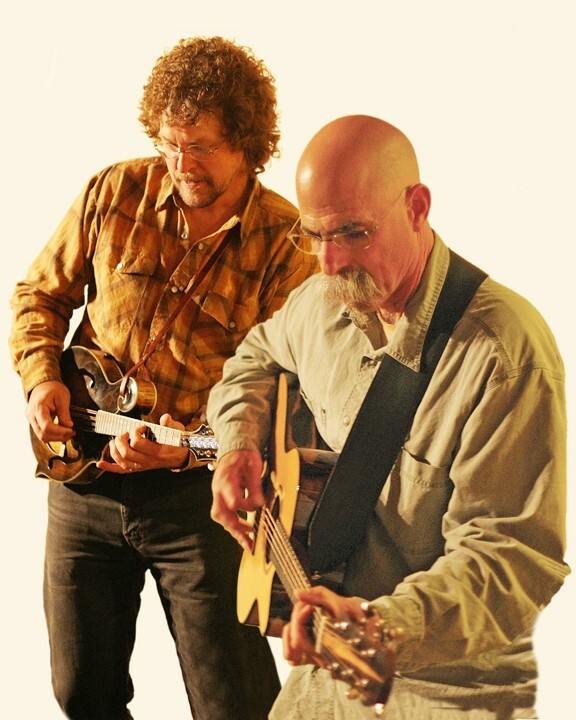 Kenny Blackwell (mandolin) and Dorian Michael (guitar) will bring their sparkling musicianship to Matt’s Music on Friday, May 7 at 7:30 p.m. ($10; call 237-0054). If you like amazing songs from the Americana and Irish traditions, and who doesn’t, this is a must-see show. World-renowned sitar and tabla players Partha Bose and Indramil Mallik will present an evening of Hindustani classical music this Friday, May 7, at 8 p.m. in the Steynberg Gallery (all ages; $15 at the door). THE MARK OF Z : The Fuel Dock hosts The Bluz Dogz on May 8 during Farmers Market. Buy lettuce; boogie down. Hit Morro Bay’s Fuel Dock during farmers market this Saturday, May 8 from 3 to 6 p.m., and bring your boogie shoes, because that’s when The Bluz Dogz will provide some raucous, upbeat blues that’ll get your booty shaking and your feet shuffling. 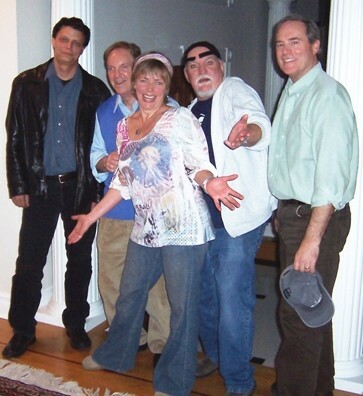 From energetic rock to soulful blues, fun originals to great covers, the band does it all. Flamenco guitar wiz Robert Earl Longley plays Painted Sky Studios during an intimate concert this Saturday, May 8 at 8 p.m. This music border crossing virtuoso fuses neo-classical and flamenco into a seductive blend that most listeners find addictive, which is why he took first place in eight our of eight SoCal guitar competitions. Tickets are $15; call 927-8330. 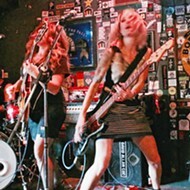 Santa Cruz-based The Taxi Project hits The Frog and Peach this Saturday, May 8 with Sara Haze, at 10 p.m. Taxi is a jam sextet replete with a trumpet and keys, and they mix rock, pop, jazz, and blues into their own amalgam. They’re touring in support of their new EP Never Speak. Pacific Breeze Concerts at Dinosaur Caves Park wraps up this Sunday, May 9 with local urban jazz-rock act the Damon Castillo Band in the park’s Rotary Amphitheatre from 1 to 4 p.m. Moms will receive a complimentary rose from SBIG, which has also organized a number of activities for the family that day including games for the children by “Funtime USA,” plus chances to win wonderful gifts for Mom, including but not limited to fine hair products from Shear Design Salon, a free night at the Spyglass Inn, wine from Salisbury Vineyards, a gift certificate from the Ventana Grill, and the grand prize of a full Spa Day at the Shell Beach Salon and Spa. Idiosyncratic Rabbit plays the Frog and Peach Bar on Sunday, May 9 at 10 p.m. 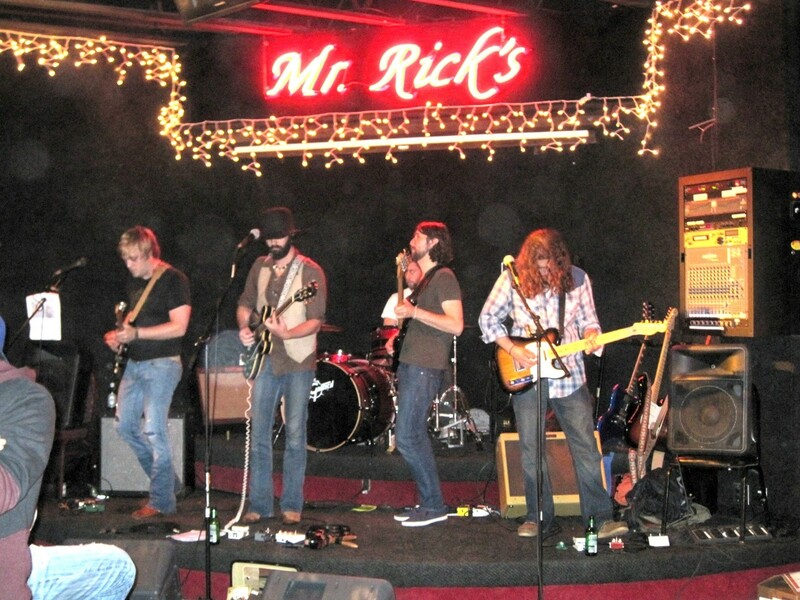 The experimental, show-gazing-nerd rock act hails from Arroyo Grande. This Tuesday, May 11, from 6:30 to 9:30 p.m., Steynberg Gallery hosts its ongoing series Songwriters At Play Showcase (all ages; $5). John Sandoval is this week’s principle performer. He played “all the SLO rock clubs back in the day, but until recently he had put music on the back burner. Now he’s back, with lots of new songs and funny stories, ready to claim his place in the local songwriting scene.” Dorian Michael, Gary Garrett, Jayson Jones, and Peter Beck are also scheduled to appear. BOOP-BOOP-B’DOOP! : Los Angeles based Beatles-tribute band They Are The Eggmen plays the Frog and Peach on May 11. Los Angeles based Beatles-tribute band They Are The Eggmen plays the Frog and Peach this Tuesday, May 11. Self-described as “the edgiest and most rockin’ Beatles cover band on the scene today,” the group features a quartet of “Grammy experienced professional performers with a commitment to a high-energy show while still maintaining an accurate presentation of The Beatles music.” The show starts at 9 p.m.
Glen “Miss Manners” Starkey will now answer all your questions concerning etiquette. Write him at gstarkey@newtimesslo.com.